Fortunately, more and more homeowners nowadays are recognizing the benefits of hardscaping. This includes you. After all, you’re already looking for hardscape contractors near you. If this is really the case, you can benefit from reading this article. This will be your complete guide. Learn everything there is to know about this process. It all starts with understanding what it is. We’ll define what hardscaping is and how it’s different from softscaping. You’ll also learn the different materials used. If you’re not yet convinced that you should go for it, you’ll know its benefits. If you’re convinced, you will get design ideas later on. Of course, you can only experience these benefits if it’s installed well. This is why we’re also including the things to consider when installing it. We’ll also highlight the mistakes that you should avoid. These are common mistakes that you should learn from. There’s also that one thing that’s on your mind – the cost. We’ll tell you the cost to install it. Better yet, we’ll show you a free service that will help you find the best available quotes that you can choose from. So, what exactly is it? Hardscaping refers to the installation of hardscape or the non-living parts of a landscape. They’re installed to complement the landscape because of how they add curb appeal. In addition, they have practical uses as well. This is a short paved road that connects a public road with a garage or the house. Basically, this is where you pull up from the road so you can enter your property. This is a necessary part of the landscape so that it won’t be damaged by the car. They’re walls that are put up to hold back water or soil. It’s basically a driveway, but it’s designed for people, rather than vehicles. You walk on it, rather than drive on it. This is a structure outdoors that is connected to a house. It’s basically an extension that also serves as another living area. It’s a flat surface outdoors that can support people and furniture. It’s usually an elevated structure that serves as an extra living area. It’s named as such because of its similarities with the deck of a ship. It’s a pavilion that is used for relaxation. It’s also used to admire the surrounding views because of how it’s designed to allow people to look around. This structure often complements a garden. It has columns that serve as support for beams. These columns and beams are often used for climbing plants. This is a structure used to surround the house for privacy, aesthetic and security purposes. Often used in parks, benches can also be installed as part of a landscape as places to rest and relax. As you can see from these examples, hardscapes serve good purposes. They’re both important parts of landscaping. You already know what hardscaping is. Softscaping, on the other hand, is the part of landscaping that incorporates living things like plants, trees, flowers and the likes. Softscaping also includes maintenance and management of these things. You shouldn’t choose one over the other. Both are necessary for a beautiful, practical and functional landscape. It improves your home’s curb appeal. How does your home look from the curb? This is the view that passers-by get. This is also the first view that your visitors will get. More importantly, this is your first view when you get home. Done right and incorporated well into your landscaping, it can really help improve your home’s curb appeal. It’s a good way to inject a boost of aesthetic appeal if you’re getting sick and tired of how your home looks from the outside. It increases the value of your property. An improvement in your home’s curb appeal will automatically increase the value of your property. They look amazing by themselves and put together, can really complement the appearance of your home provided that they’re installed by a competent professional. This is mainly because of the angles and dimensions that they add to your home. 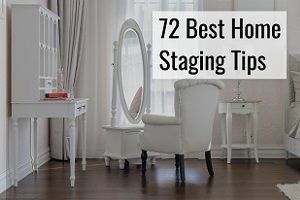 This is especially helpful if your home looks boxy. In addition, the presence of the hardscapes itself will increase the value of your property because each and every one of them provides aesthetic appeal and function. Your potential buyers will look at them as extensions of your home. They’ll look at a patio as an extension of the living room. They’ll look at the deck and see an extension of the dining room where they can enjoy meals every weekend. Speaking of patios, did you know that most home buyers ask for a patio? This means that if you have one, your home is already appealing to most home buyers. There’s more room to spend quality time with your family or friends. These can be used as entertainment spaces and as such, you can use them to spend quality time with your family. Instead of going into your respective rooms after dinner, you can simply head out to your patio or gazebo for after-dinner entertainment. You can also use these structures to entertain your friends. They’re a must if you like having guests around or if you regularly throw parties. Experienced hardscape contractors near you can put together an all-out outdoor entertainment space. They can create a pathway from your kitchen to an amazing outdoor living space complete with a grill and outdoor kitchen. Your house will be the ultimate party place every weekend if you choose to do it! Softscapes require maintenance because they’re living things. You have to water them, prune them, and more. On the other hand, hardscapes require very little maintenance. They require cleaning every now and then. It would also help if you check them every now and then for damages that require repair. That’s basically it. If you have them installed by a good contractor, they’ll be in top-notch condition for the years to come even with limited maintenance. A retaining wall and other well-placed hardscapes can help reduce risks of erosion. They can effectively channel water away. As a bonus, this can also help protect your landscaping as a whole. You can only experience these benefits if you hire the best hardscape company near you. In addition, there are things to consider when installing hardscaping. What are the things that you want to accomplish with hardscaping? How big of a space can you allocate for it? Who do you want to benefit from it? Take a look at your space. How will you maximize this space? Landscaping should be a perfect mix of hardscape and softscape. Use your research to assess your space and determine how to best use it. You also have to assess the topography of your space. What are you going to install? Once you’ve done your research and you’ve assessed your space, you can now determine how to go about the hardscaping. What are you going to install? This is probably the most important consideration of all. You’re probably tempted to do it yourself if you’re an experienced DIYer, and you can, provided that you have the right tools, equipment and skillset. Unfortunately, there’s a good chance that you don’t have those things even if you’re an experienced DIYer. Sure, you’re experienced in fixing things around the house, but when was the last time you hardscaped a yard? If the answer is never, then you’re better off hiring a professional. But either way, ask yourself whether you want the best results or not. If you’re after the best results, it’s best to hire a professional. Provided that you hire the best one in your area, you can expect to experience the benefits listed above. We’ve mentioned that budget is an important consideration and it is. 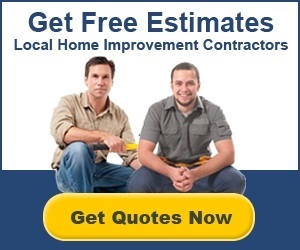 If you’re concerned about going over your budget, you’d be happy to know that you can easily find a good contractor with a great deal. We’ll discuss more of that later. It contrasts with your home. It should complement your home. After all, one of the reasons why you’re doing it is to improve the curb appeal of your home. For that to happen, it should complement and not contrast with your home. If it doesn’t, it will stick out like a sore thumb. You sacrifice the softscape for the hardscape. At the end of the day, the whole landscaping will be judged. There should be balance between the hardscaping and softscaping. There should be natural flow. It has to look amazing as a whole. They should complement each other. One shouldn’t stand out at the expense of the other. Done right, they will work hand in hand to give you an amazing landscape. Make sure that there’s also balance between hard and straight lines and curves and angles. You use low quality materials. They can only be as good as the materials that you’ll use. Use low quality materials and they won’t last long. This is why you have to do your research. What are the right materials that you should use? How will these materials cope with the climate in your area? Will they be able to keep up with how you intend to use them? Failure to plan is planning to fail. For starters, a lot of homeowners don’t even plan for the drainage. This leads to water pooling and that will lead to a lot of other problems. Doing it DIY when you should hire a professional. Again, an experienced DIYer with the right tools, experience and skillset can do it. However, a lot of DIYers tend to overrate their skills. Hardscaping is very different with the normal tasks done by DIYers around the house. This is why they end up overwhelmed or worse, with an unfinished project. This is why they end up hiring a professional to fix their mistakes and finish the job. Even if you’re confident that you can do it, there’s a good chance that a trained contractor can do a better job than you. After all, they do this for a living. They’ve invested in the right tools and have years of experience and the knowledge that comes with it. So if you want the best results, it’s recommended that you hire a professional. A perfect landscape is one with the perfect balance of hardscape and softscape, so feel free to mix and match. Experiment with ideas that implement different styles, textures and materials together to come up with one amazing-looking design. You don’t have to go all out on wood or concrete. Why not go with wood AND concrete? A good way to do it is to set up a fire pit with concrete benches around it. It’s going to be the most popular place in your backyard. Concrete is very versatile. You can also mix and match it with steel if you’re not a fan of the maintenance needs of wood. You can also mix and match different styles. For example, you don’t have to choose between something elegant and something traditional. Turn it into your own park. You actually don’t have to install a patio or something as big as that. A walkway can already do wonders provided that you’ll surround it with trees, shrubs, plants and flowers. You’re basically integrating the hardscape with the softscape. The result is your very own park that will prove to be a good stress-buster. If you want more hardscaping, add a few benches every few turns or so. Create your own private oasis. You can hit two birds with one stone by installing a deck and surrounding it with a row of impressive bamboo trees. You get your own oasis and at the same time, it adds more privacy to your deck. Don’t limit yourself to just bamboo trees. Wooden decks work amazingly well with softscapes. Consider implementing a hanging or crawling garden to soften the otherwise tough appearance of a wooden deck. You can also take design inspirations from French gardens. It’s one of the more practical ideas because all it needs are stone tiles for the pathway, loose gravel and a garden. This is one of the easiest design ideas to implement. Wooden planks are strewn across the grass. Sectional wooden sofas are then placed strategically along with lanterns. It’s like an outdoor scene of an Italian movie. You can add a slide! On one side, you have stairs going up. On the other, you have slide going down. Add a sandbox in between them and it’s going to be very popular among the kids and even your pets. Have your own Zen garden. Having your own Zen garden helps you relax. Have a deck with multiple levels, while alternating wood with stone tiles, and you’ll have your own place where you can meditate. Have your own outdoor living room. If you live in an area with a climate that permits an outdoor living area, set up an outdoor living room. 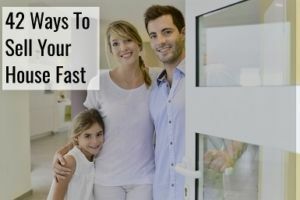 It’s a good way to decongest your home and will prove to be a beautiful addition in addition to being a practical one. You can even put an entertainment center in there. You probably have a gas grill for those weekend cookouts. Why not upgrade and have your own outdoor kitchen that’s fully-functional? Have a kitchen island in there so you can prep for the storm that you’re about to cook. Add a fire pit and surround that with comfy sofas so guests can keep themselves warm while waiting. Yes, you can be sustainable with your hardscaping. A rather new design idea incorporates rainwater collection tanks where rainwater can flow and accumulate so it can be used. Experienced hardscape installers near you should have more design ideas for you to consider so make sure to ask. A deck is one of the first things that come to mind when it comes to hardscaping and naturally, we think of wood as a material. It’s not just for decks. Wood also works well with patios, gazebos, pergolas and more. Wood is beautiful and this is why it’s very popular. It also helps that it’s very versatile and can be used in several different applications. It’s not the most durable for some hardscapes, though. It also requires a lot of maintenance so that turns off a lot of homeowners. As mentioned, wood can be a pain to maintain. If you want to experience the benefits of wood without having to worry about maintenance, you can try composite. Be prepared to pay more for it, though. Although in most cases, the additional cost is worth it considering that it’s also more durable than wood. You can’t go wrong with something that’s been in use for centuries. There’s a reason why brick has been in use for just about every type of structure there is. It offers a lot of benefits. But most people go for it because of its longevity, strength and durability. It’s also environment-friendly mainly because bricks can be re-used. Concrete is another staple material. It’s a top choice for the driveway, for starters. The fact that it’s the top material in the world as far as usage is concerned should tell you a lot of good things about it. For hardscaping purposes, you’d be happy to know that it’s very versatile. It can mix and match with any theme. It can even look great even at its bare and unfinished look. But of course, feel free to make it look better. Staining concrete is a popular technique applied by experienced local hardscaping contractors. Consider this material if you want an outdoor patio or courtyard installed. It also offers flexibility. If you want something more clean and formal, go for geometrically-cut stone. If you want a rustic appeal, stick to the irregular pieces. Surprise! Tiles are not just for the indoors. Just make sure that you stick to concrete or natural stone tiles. They can be very expensive so you’d want to make sure that you do the installation right. This is why it’s recommended that you hire a professional for the installation, maintenance, and repair if needed. Also keep in mind that some varieties can be slippery, so take that into consideration when designing the landscaping. Loose materials can also be put together. Gravel is a popular choice together with small stones. You can even go green and use recycled glass. What’s the best material to use? Each of these materials has its place in a good landscape. It’s just a matter of choosing the best material for the specific hardscape that you’re building. Consult with a professional for best results. The cost to install a concrete patio is estimated at around $2,500. It can be as low as below $1,000 if you’re going to do it yourself, but save yourself the trouble and pay for a professional. Depending on your choice of material and the size, the cost can go as high as over $4,000. You can expect to pay around $5,000 to have a driveway installed. This is for an asphalt driveway. The cost includes the removal of the old driveway. You can expect to pay more for a concrete driveway with an estimated cost of around $7,500. Retaining walls cost over $5,000 to build on average. 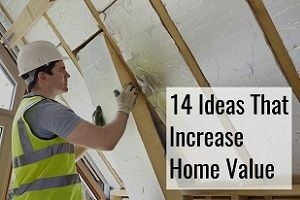 It can cost as little as $1,200 or as high as close to $13,000 depending on the budget and preferences of the homeowner. You can expect to pay around $1,200 for a 400 square foot walkway. The price can be lower or higher depending on the material used and how complex the walkway is. A deck costs around $7,200 to build based on the national average. If you’re on a budget, you can have one built for below $2,000. If budget is not a concern, you can be more than happy to pay for something close to $18,000. Based on the national average, you can expect to pay around $6,500 to have a gazebo built. If you want the best gazebo there is, you can spend up to $20,000 for one. You can pay as low as $1,500 for a 10 by 10 pergola kit that you’ll install on your own. But as always, it’s recommended to hire a pro for best results. It’s also recommended that you have one designed instead of settling for a DIY kit. You can expect to pay anywhere from $3,500 to $6,000 for a custom pergola. On average, homeowners have paid around $2,400 to install a fence. The cost can go as high as over $5,000. If the seating options provided by your deck or patio aren’t enough, you can also install benches around your landscape. A basic one will cost around $2,000 to $4,000 to install, while more complex ones can cost up to $8,000. The prices listed above should give you a good idea as far as the cost is concerned. However as mentioned, a lot of factors are in play here, so your final quoted price can be lower or higher. Of course, you’d benefit from a lower quoted price but in reality, you can expect to pay more than the national average if you don’t know how to get quotes. A lot of homeowners have overpaid for hardscaping and this is why we’ve put together this service to get quotes from competing hardscape contractors, many of whom will also be able to handle your landscaping & design needs. All you need to do is to use the form that you see on this page. It asks you of very basic details. Complete the form using accurate details and send it. The best licensed companies in your area that specialize in hardscaping will receive your details and will put together their best quote for you. If you’re wondering why they’d automatically send their best quote, it’s because they know that they’re competing with other contractors for your business. They know that you’ll be receiving their best quotes so for them to have a chance of getting your business, they have to send their best quote. This is a free service so try it today!